This is a terrace (garden) door in English style, opened depending on the needs, inside or outside. They are extremely functional, although more often chosen for aesthetic reasons. Thanks to this solution, the interior of the house gets more light and heat. If you are looking for an elegant set of doors that will bring out the beauty in every room, the French Doors are a great choice. We have a wide selection of French Doors. The variety of shapes, colors and materials will allow you to fit the right pattern for you. We strive to ensure that our doors are made of the highest quality wood. A wide selection of panels, glass and wood as well as individual design solutions complements each room. 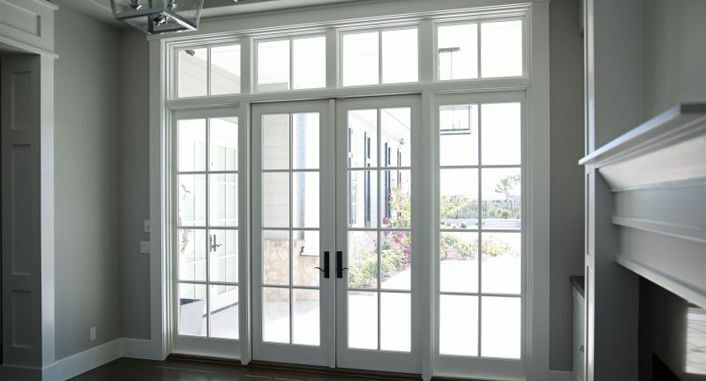 French doors are very functional and make the interiors are brighter, warmer and let more sunlight into the room. Made of natural wood, they add elegance and are suitable for painting.